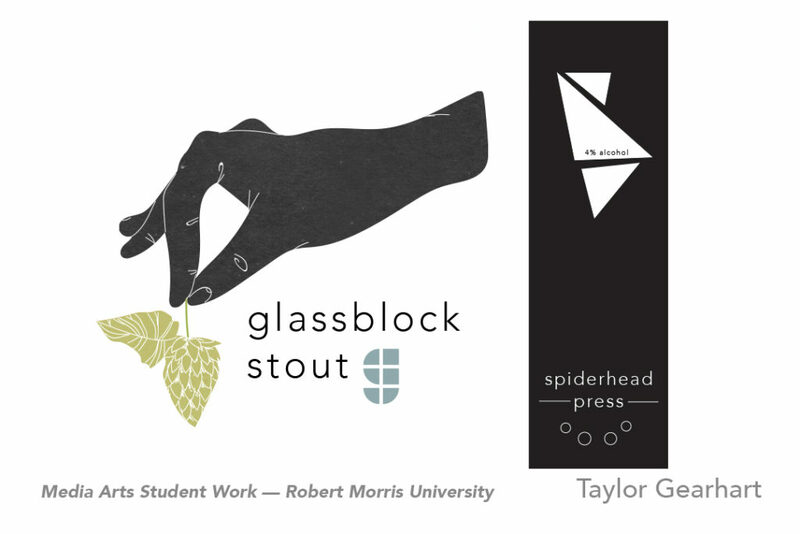 One of the first pitches that we received for The Glassblock was writer Kenny Gould’s two-part “In the Spirit of Pennsylvania,” which first considered the history of sourcing local ingredients to make beer and spirits and then set out to create an entirely locally-sourced brew, with step-by-step documentation. 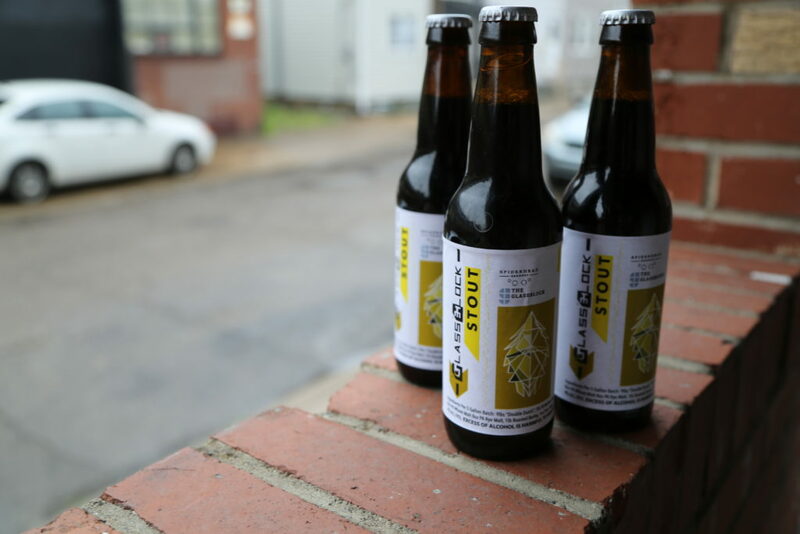 The stout that Gould had created in his apartment—using mash and yeast, siphons and glass carboys—had a deep, nuanced flavor, resting at a relatively low 4% alcohol by volume. 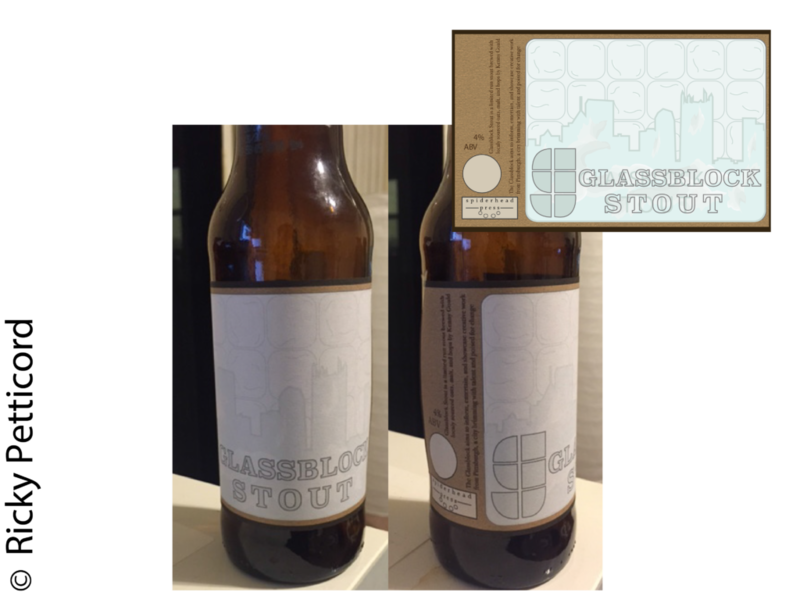 Coinciding with our launch of The Glassblock, it was christened The Glassblock Stout, and we were set on serving it at our launch party this past April. 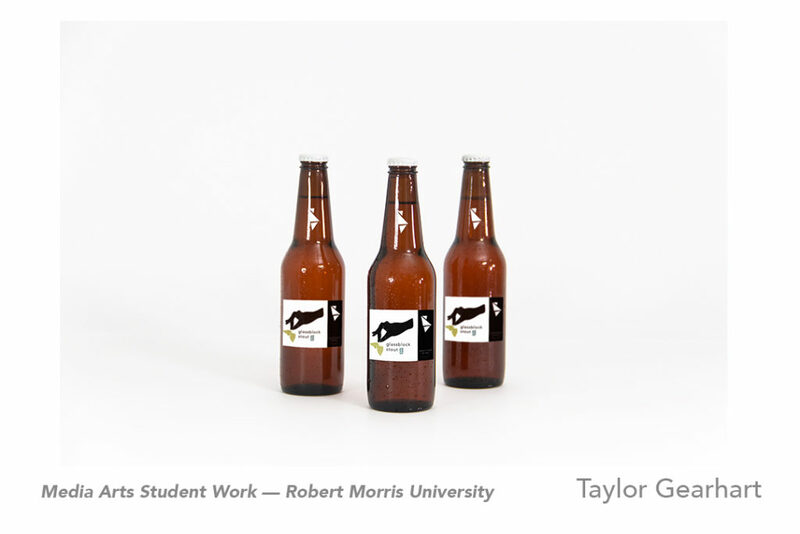 Successfully brewed and bottled, all that was left was a label. 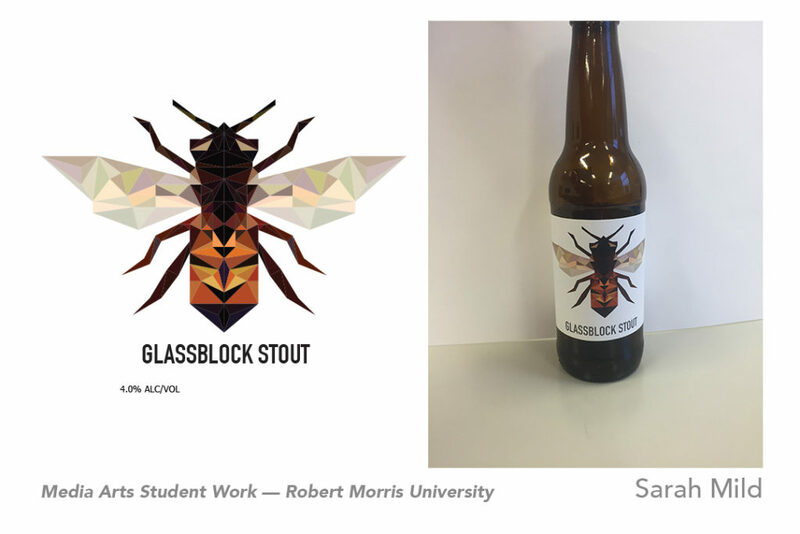 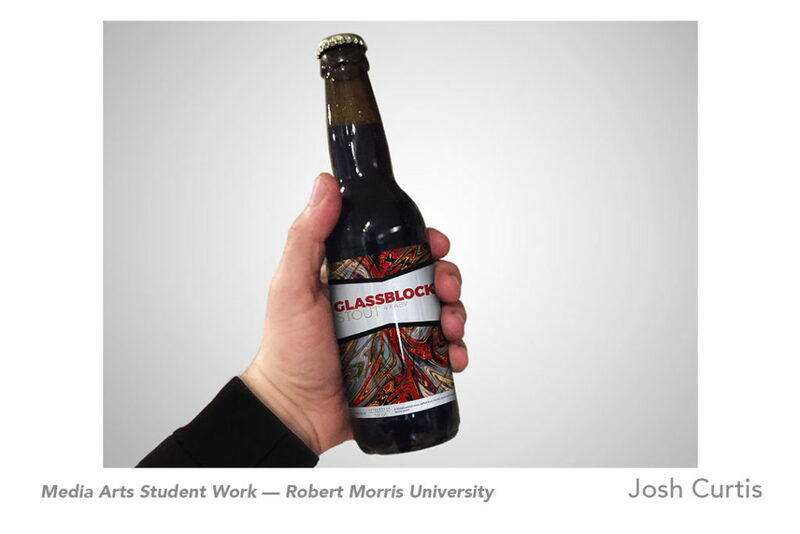 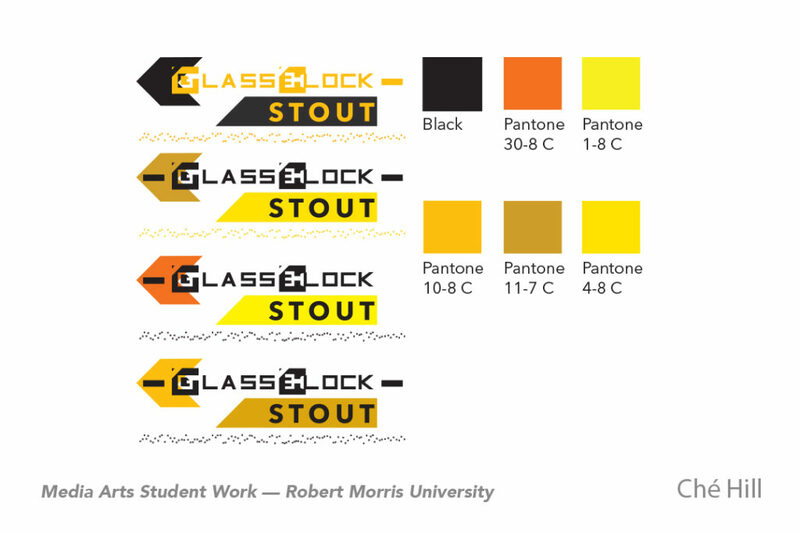 Partnering with artist and Robert Morris University professor of Media Arts Hyla Willis, Gould and I met with six student designers who had been tasked with creating a label for The Glassblock Stout. 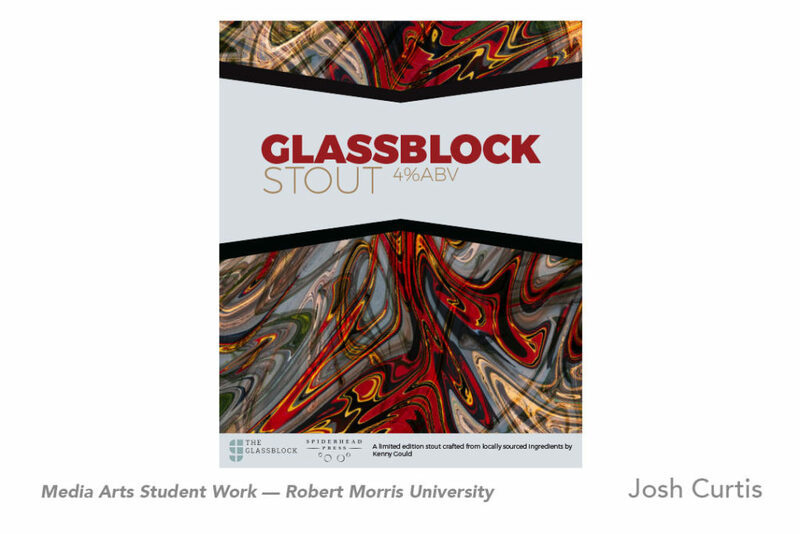 We explained how the design should reflect the goals of The Glassblock as a publication while also providing clear indication of the ingredients and their local origins. 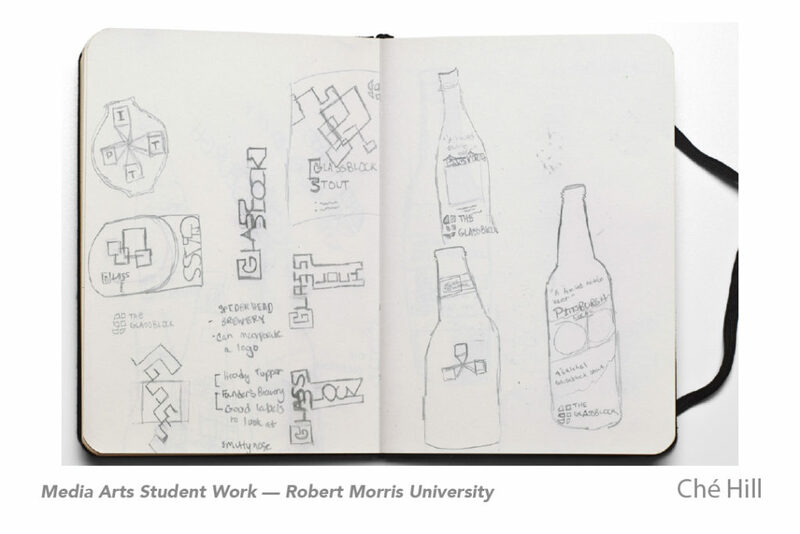 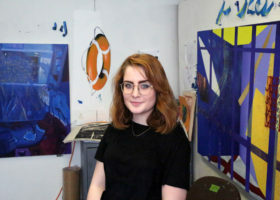 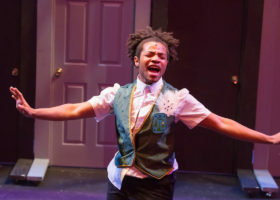 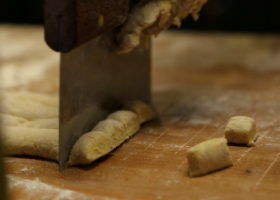 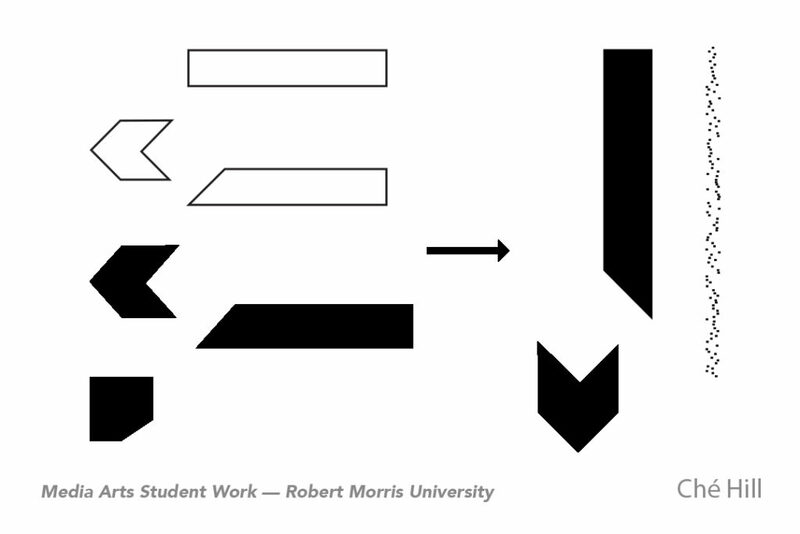 We thought it would be of interest to dive into some documentation of the students’ processes and present a brief overview of the six submissions, beginning with the winning one. 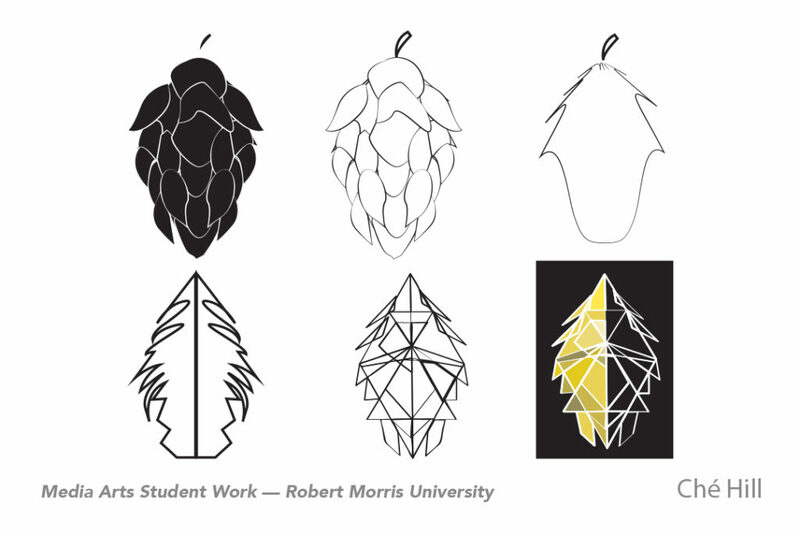 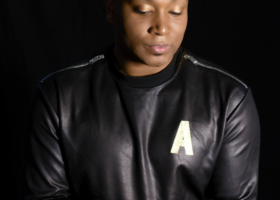 While we appreciated aspects of each submission, the winning design was created by Ché Hill. 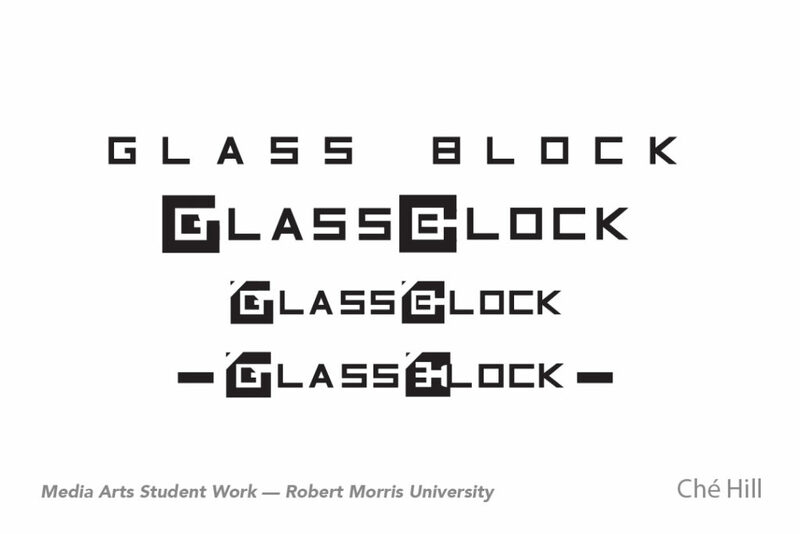 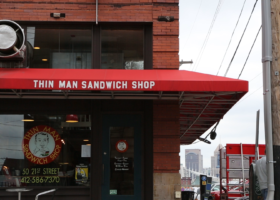 Hill’s concept contained an original text treatment, a clear ingredients list, and an interesting use of space. 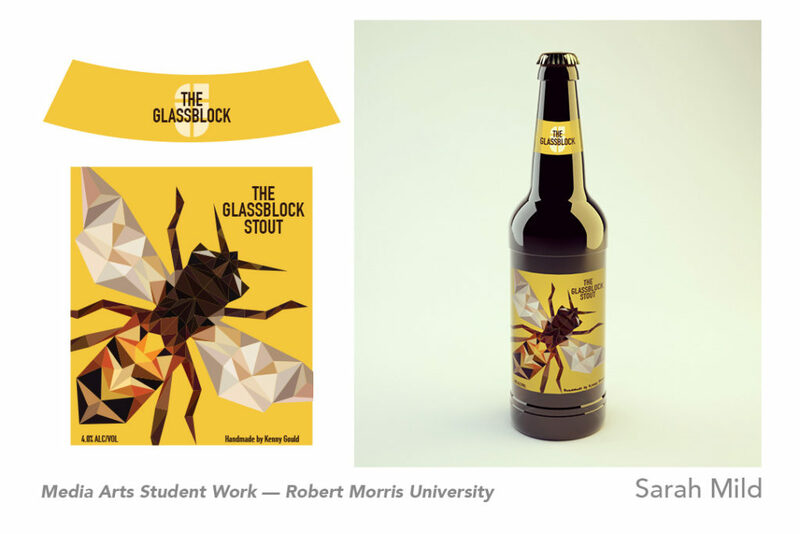 The original concept called for a clear label, allowing the type and images to float on the bottle, but due to timing, we opted for a white background. 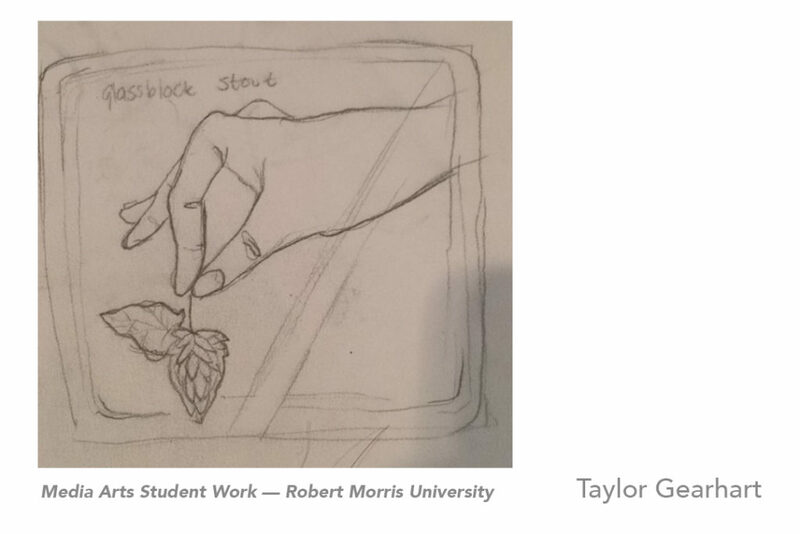 Taylor Gearhart drew inspiration from the Art Nouveau movement for this stylized depiction of a hand, thumb and forefinger grasping a sprig of hops. 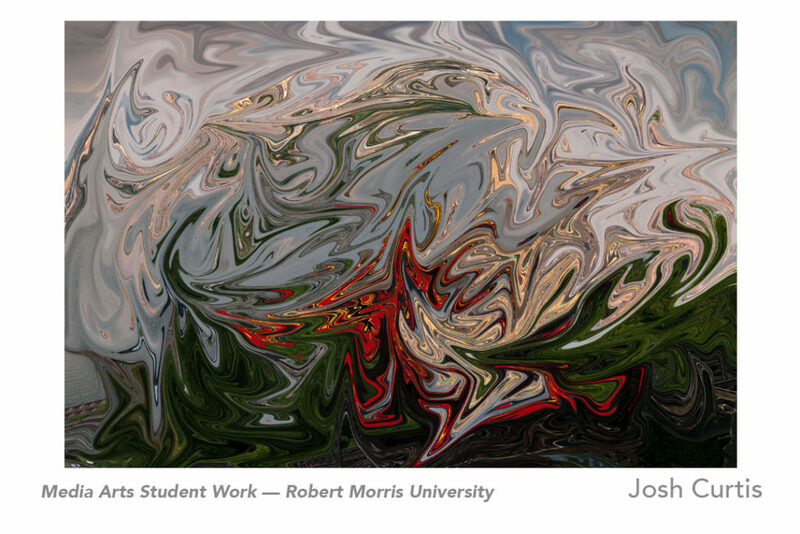 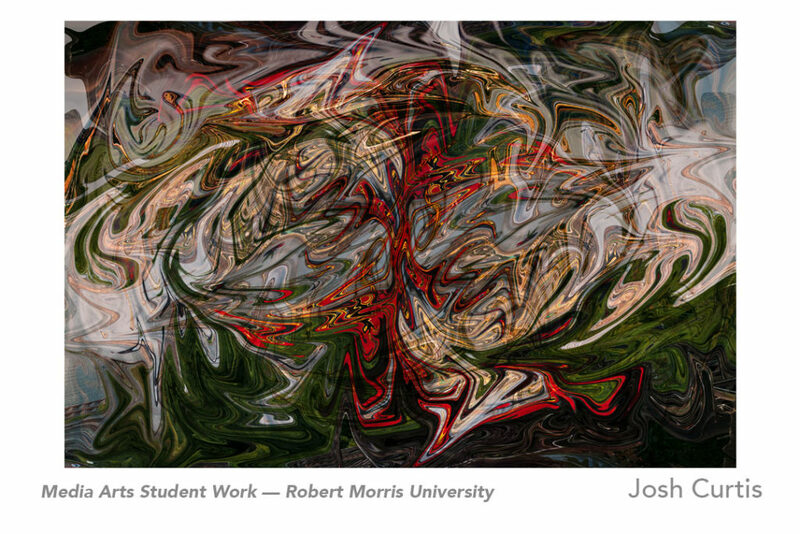 Josh Curtis digitally transformed one of the most iconic views of Pittsburgh into an image that resembles the swirls of light and color through glass, giving an effect like paper marbling. 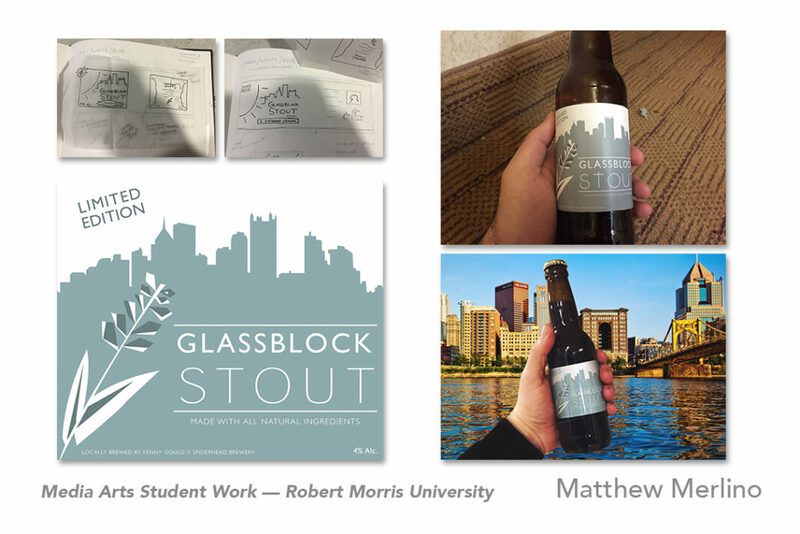 Matthew Merlino’s elegant skyline, in The Glassblock’s signature green color, wraps around the bottle. 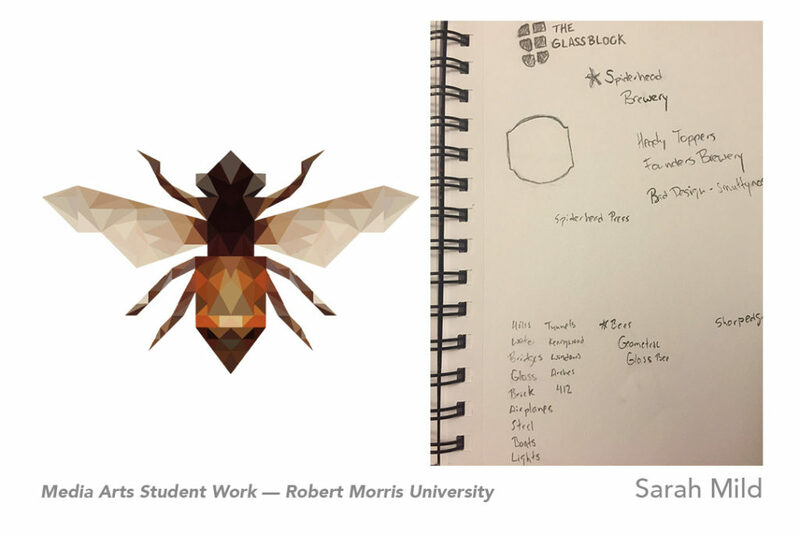 Sarah Mild refined a glass bee concept into a beautiful geometric image. 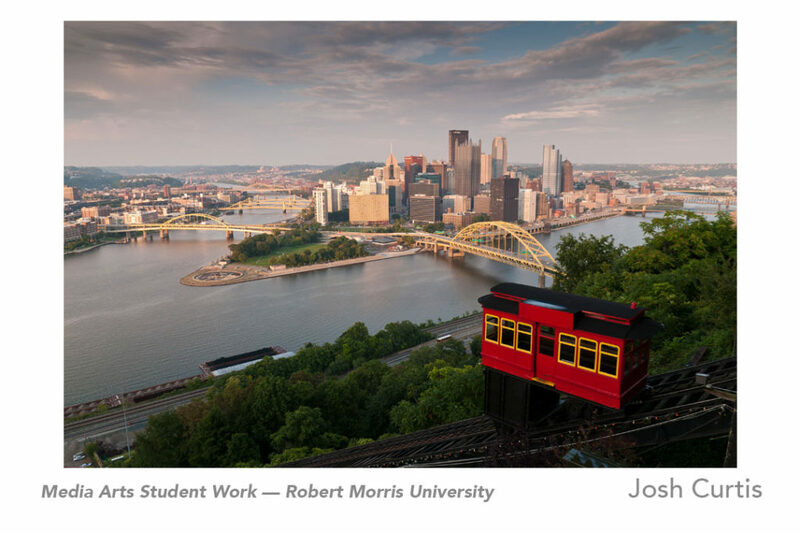 And Ricky Petticord combined the light touches of a Pittsburgh skyline atop a grid of glass block.